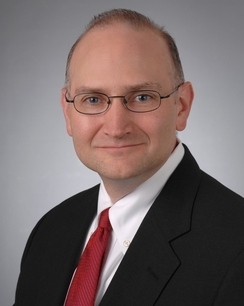 Thomas A. Brusstar represents insurers and reinsurers in major coverage disputes and claims management, especially those involving complex product liability and other mass tort exposures. Tom has particular expertise in evaluating and litigating coverage for mass tort exposures including drug, medical device, and transportation losses and catastrophic industrial incidents. He has served as lead counsel for insurers in many coverage arbitrations and lawsuits, including on several London arbitrations under “Bermuda Form” wordings as applied to U.S. mass tort exposures. Tom is also regularly asked to evaluate claims in early stages, and to advise in the drafting of policy wordings. He has extensive experience in developing and defending financial reserve projections for insurers and reinsurers, and has developed expertise in many scientific and technical disciplines pertaining to coverage analyses, including pharmaceutical and medical device safety, motor vehicle dynamics and occupant safety, statistics, and actuarial analysis. Tom has also litigated professional liability exposures under the Telephone Consumers Protection Act ("TCPA"), including in the recent Margulis v. BCS Insurance Co., 387 Ill. Dec. 780, 23 N.E.3d 472 (Ill. App. 1st Dist. 2014), appeal denied, an appellate court victory affirming a finding of no coverage for a TCPA judgment. Tom regularly speaks on many topics, such as management of mass tort exposure generally, insurance coverage and claims management questions, Bermuda policy dispute resolution, and punitive damages. Tom has been elected a Fellow in the American College of Coverage and Extracontractual Counsel, has been AV rated by Martindale-Hubbell, and is included in the Expert Guides for Insurance and Reinsurance.